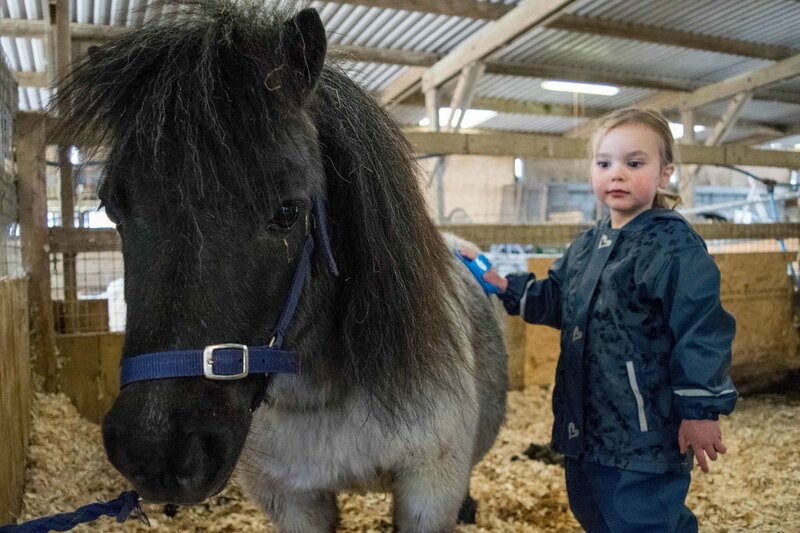 We’re excited to introduce our new animal keeper experience that takes your little ones behind the scenes to find out what it's like to be a Mini Farmer. Children can get up close and hands on with our farmyard animals and fluffies. Mini Farmers can delight in feeding our farm animals such as our Goats and Pigs. What’s more children can groom our Ponies and help muck out the show pens. Don't forget to snap a picture of your mini farmer working hard! Please note the animals included in the experience may vary depending on the day but will include a selection of: Rabbits, Guinea Pigs, Goats, Pigs, Sheep, Chickens, Shetland Ponies. Our Mini Farmer experience souvenir pack includes free day entry to the zoo for the participant(s) and 1 accompanying adult, a personalised certificate of achievement and a complimentary T-shirt to remember the experience with an option of 3 colours (blue, yellow or pink). Fridays between 11am and 12pm. Children aged 4 - 6. All children must be accompanied by one adult which is included in the price. Any additional adults will be charged. Prices include full day admission to the zoo for participant(s) and 1 accompanying adult. If you have any questions or would like to book a Mini Farmer experience please call our bookings team on 01275 852606. This experience would be the perfect gift for a friend or relative. Are you ready for an exciting and exclusive day out? Don't forget your wellies!